When cared for properly, trees become not only a boost in our property value, but a boost to our overall happiness and well-being, and can even reduce time it takes to recover from illness! Trust the professionals at US Tree Care to help improve the lives of your trees AND your family! 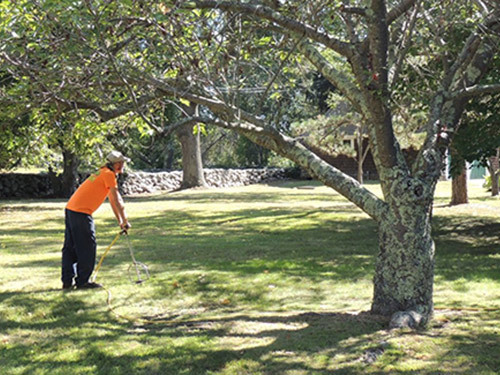 Mature Trees respond differently to pruning than young trees, and are significantly more sensitive to over-pruning!. Making the right cuts, in the right places, at the right time is crucial to keeping your trees structurally sound, while keeping your mature tree healthy and thriving! Unfortunately, it is sometimes necessary to remove a tree. As trees mature, they can become more and more of a threat. Dead trees are more likely to break, and trees planted too closely to a house or pool can wreak havoc on your home! Often, you just need answers from an expert source. Whether you need a diagnosis on a tree disease affecting your trees, or are planning on pruning on your own, but just need a good care plan that you can work, US Tree Care is here for your help! For a minimal fee, an ISA Certified Arborist will help you put together a great care plan to help you with your trees! Trees need to Eat, just like you and I do. Feeding your trees a good meal once or twice a year will ensure that they have fewer pest problems, have fewer health issues over the years, and keep them from breaking in storms! Trees are like people in many ways, including the fact that they too get sick sometimes! Like the old adage, treatment without diagnosis is malpractice. US Tree Care implements a variety of cutting edge technologies to help properly diagnose your tree, and then continues the use of that technology into the treatment to make sure your trees not only make it through, but really thrive! Contact US Tree Care Today if you have a tree that needs some TLC! Contact US Today With Your Tree Care Needs!